It is very hard to justify the expense of hiring a professional janitorial service if you can do the cleaning yourself. A professional cleaning service, however, has multiple benefits to offer anyone who is willing to invest in a visit from one. Professional janitors are trained by certifying institutions to apply the highest industry standards in their work. It is their job to know what cleaning agent works best with a certain material. If they’re cleaning hardwood flooring, they only use the right kind of polish and don’t use the beater bar on the vacuum to avoid scratching the floor’s surface. They know how to buff, wipe, and work something in order to restore that object to a like-new condition. Since they know how to treat items well and remove dust and dirt that are degrading them, professionals are able to prolong the service life of these objects. If you ask somebody to clean and he doesn’t derive any economic value from the chore, the task may or may not be done. That is not true with a professional cleaner. You sign a contract and the team works for you until the task is done. You are able to depend on them to produce the results when and where you need it. No ifs and buts about the outcome. Let’s face it. You have better things to do than cleaning. If it’s not your line of work, mopping the floor isn’t going to replace your time with money. Professional cleaners will be able to do the job for you so you can pursue your high-impact and high-value activities. 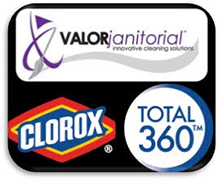 If you’re looking for the best professional janitorial service in Dallas, Texas, you only need to call Valor Janitorial to provide you with innovative cleaning solutions. Our company is locally-owned with more than 90 million square feet of space successfully cleaned in our entire service history. You can get in touch with us at our ##number## or through the contact form on this page. Let us handle the nitty-gritty so you can do what you do best.